colorful 50th birthday invitations - Smock. 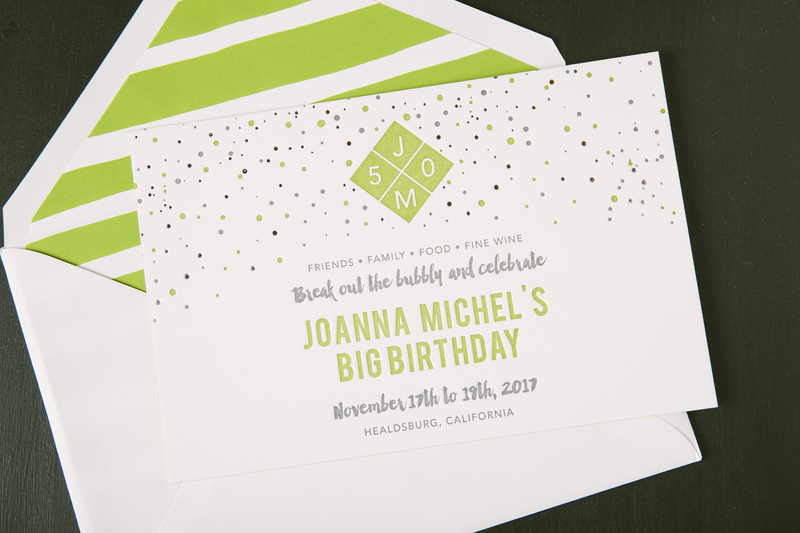 We worked with Union Street Papery to create these colorful 50th birthday invitations for Joanna. 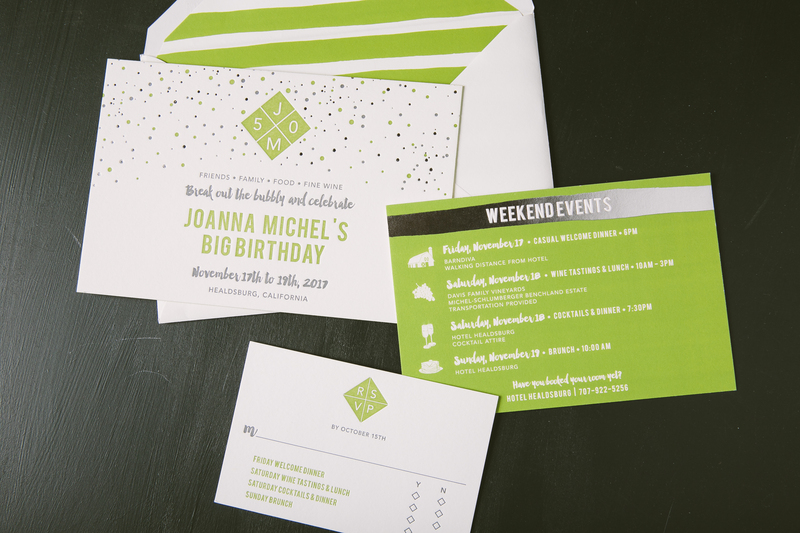 The invitation printed in Lime and Pewter letterpress with Silver Shine accents set the tone for the big celebration to come. 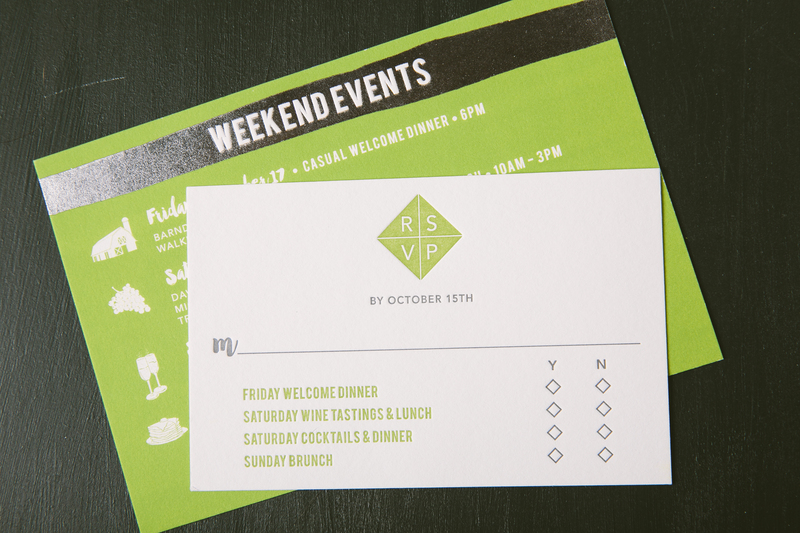 The same color palette was carried over to the reply and weekend event cards. Finally, an organic stripes envelope liner pattern played up the fun factor within this suite even further.